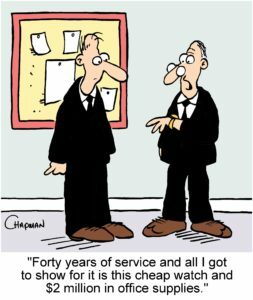 As funny as this little cartoon is Employee theft really is no laughing matter. A pad of paper, a few pens and a stack of Post-Its – if that’s your idea of employee theft you need to realize it also includes stealing time, money, intellectual property and office equipment as well as confidential and other valuable information. Employee theft must be addressed because it’s so prevalent and the sheer volume of stolen supplies adds up to billions of dollars a year in losses for small businesses. More than 50% of workers admit to “borrowing” something from the office without returning it and experts report an upswing in theft by long-term, trusted employees. In fact, many describe the culprit as the well-liked, affable, loyal employee who has been with the firm for years. Well-paid, fairly treated employees will not steal. Employees will report on colleagues who steal. New employees are more likely to steal than those with seniority. They feel employers are taking advantage and are somehow unfair to them. They believe the company is so profitable that the loss of office supplies will have little impact on the bottom line. They were denied a raise, promotion or vacation time. They are concerned about layoffs. They are facing tough times economically. What do employees tend to “borrow” the most often? A CareeBuiiler.com survey found that the most commonly purloined items are office supplies (15%), money (14%) and merchandise (11%). Ask if they left voluntarily and if not, why they were terminated. If they frequently change jobs, try to find out why. Ask for employee input and feedback on loss prevention. Establish a loss prevention committee. Let employees know that the firm takes loss prevention and theft seriously. Create and communicate the company’s approach to dealing with thieves in writing. Senior employees are expected to lead by example – if they are seen taking office supplies others may assume it’s acceptable. 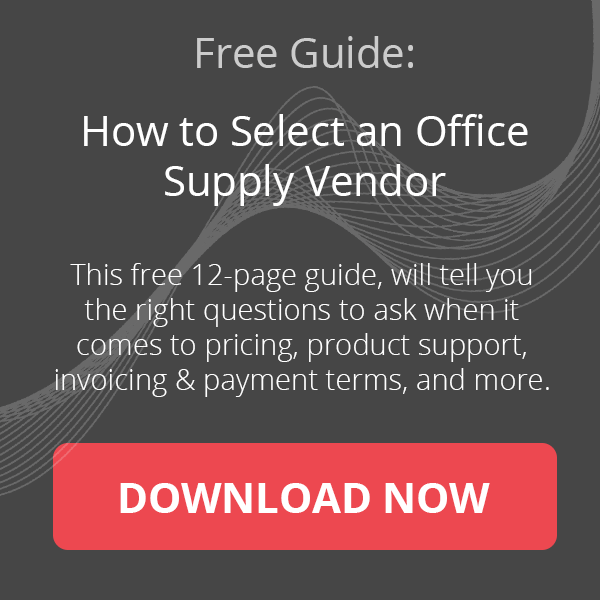 Limit office supply access to a handful of employees. Office supply orders/requests must be approved by a manager or supervisor. Assign a gatekeeper and ensure employees sign for the products they receive. Create a maximum order limit for employees. Assign office supplies a single location with a door that is locked. Commit to lower inventory levels – it frees up cash and employees are less likely to steal if they see there is less on hand. Implement a company-sponsored tip line to deter crime, including employee theft, drug and alcohol abuse. Provide employees with storage lockers to minimize interpersonal theft. 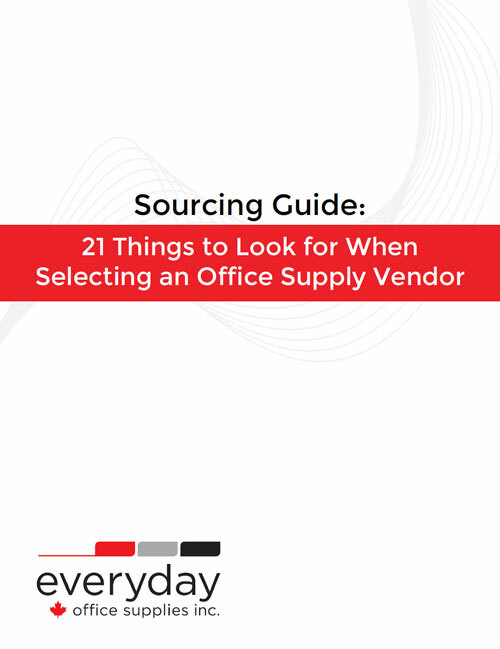 Review office supply expenses regularly and compare against comparable historical periods. If costs are up for no apparent reason, it’s worth investigating further. Use security cameras and make sure they target the areas that contain the higher value items and are most vulnerable. Know that cameras can be hidden virtually anywhere, for example, behind a mirror or in a pen. Look for and eliminate blind spots. Let employees know that there are security cameras because that information is often enough to discourage thieves while eliminating potential privacy violations. Make sure there is a clear line of sight to the office exit, which may require the removal or re-positioning of decorative plants and practical items such as coat racks. Investigate thoroughly before speaking to employees. Ensure your evidence is unassailable. Document every piece of evidence and keep copies, including eye witness accounts, security footage and any physical evidence.